CHICAGO and TORONTO - June 26, 2014 - Sales are up dramatically for in-floor heating products designed for wood flooring surfaces, WarmlyYours Radiant Heating, a leader in the radiant heating industry, reported in its second quarter report released today. Noting double- and even triple-digit growth across almost every product designed for installation under wood flooring, including natural woods, engineered wood, and bamboo surfaces, the company sees this as an area for future growth in the industry. “The sales growth in products for wood applications, including the WarmlyYours Environ System , is a good sign that awareness of floor heating applications has expanded beyond the traditional tile and stone into wood. 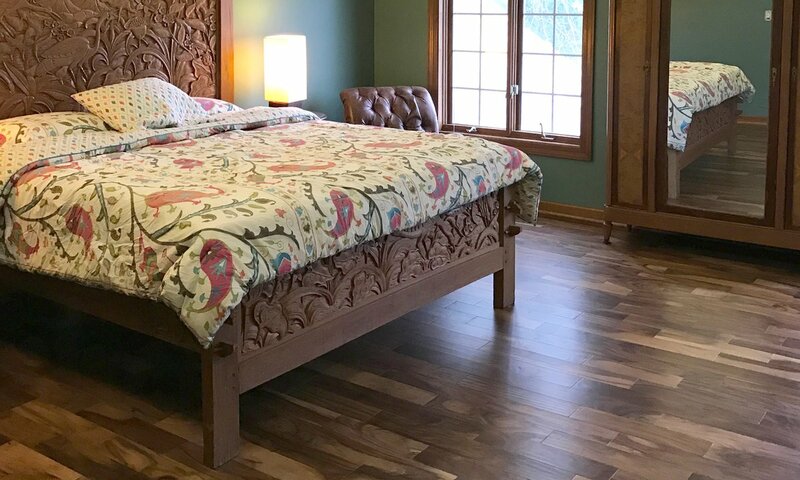 As consumers discover the new possibilities for radiant heating, they will be using it in rooms beyond the bathroom,” said Julia Billen, president of WarmlyYours. Because homeowners generally associate floor heating with tile or stone, bathroom installations are traditionally the most popular choice for radiant heating installations. They continue to lead in the second quarter, accounting for 55% of all floor heating sales, but they are down from 62% in the first quarter of 2014 as sales for installations in other rooms grow. Billen expects this trend to continue as homeowners begin to fully understand the possibilities of using in-floor heating systems for wood flooring surfaces and increasingly consider adding the comfort and convenience of radiant heat to their living rooms, family rooms, hallways and bedrooms. WarmlyYours reports continued overall strength in the industry for the second quarter of 2014 with the resurgence of the home building and remodeling sector after the recession and a sluggish winter. While the unusually cold and snowy winter weather dampened much of the economy’s growth for the first quarter, it had a positive impact on the radiant heating industry. The effects of the extreme winter continue to drive consumer behavior, increasing sales of snow melting systems in the second quarter. WarmlyYours reports that the sale of snow melting heating elements in the second quarter of 2014 increased 269% over same period in 2013. Snow melting revenues have been trending upward over the past few years. However, the results for this quarter are notable because they indicate an acceleration of that trend. View the all the details in the “WarmlyYours Radiant Heating Q2: 2014 Industry Report” infographic at the company’s website. For over 15 years, WarmlyYours Radiant Heating has offered the industry’s most innovative solutions in radiant heating technology, from our flagship floor heating systems and radiant wall panels to snow melting systems, as well as comfort products, including towel warmers, mirror defoggers, and countertop heaters. With locations in the U.S. and Canada, WarmlyYours provides unrivaled personalized customer support from start to finish, featuring measuring and design services, 24/7 technical support, and our No Nonsense™ Warranty. For more information, visit www.WarmlyYours.com.